I’m not a crazy fan of tomatoes but they have slowly grown on me so long as they don’t over power a recipe. I like using Roma tomatoes for pico because they are less juicy than other tomaotes. I also partially seed these tomatoes to take out some of the bitterness. After you cut the tomatoes in half you can just scoop out the exposed portion of seeds with a spoon to get a good bit out of the tomatoes. You can see the difference below between a seeded and unseeded Tomato below. 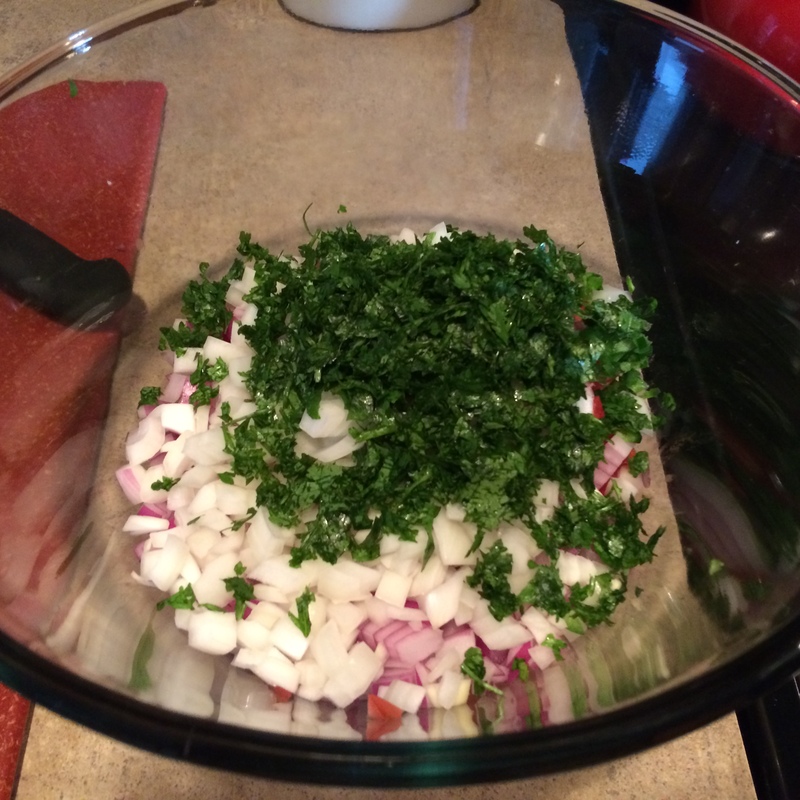 Onions are my favorite and one of my pico secrets is to use two different kinds of onions. 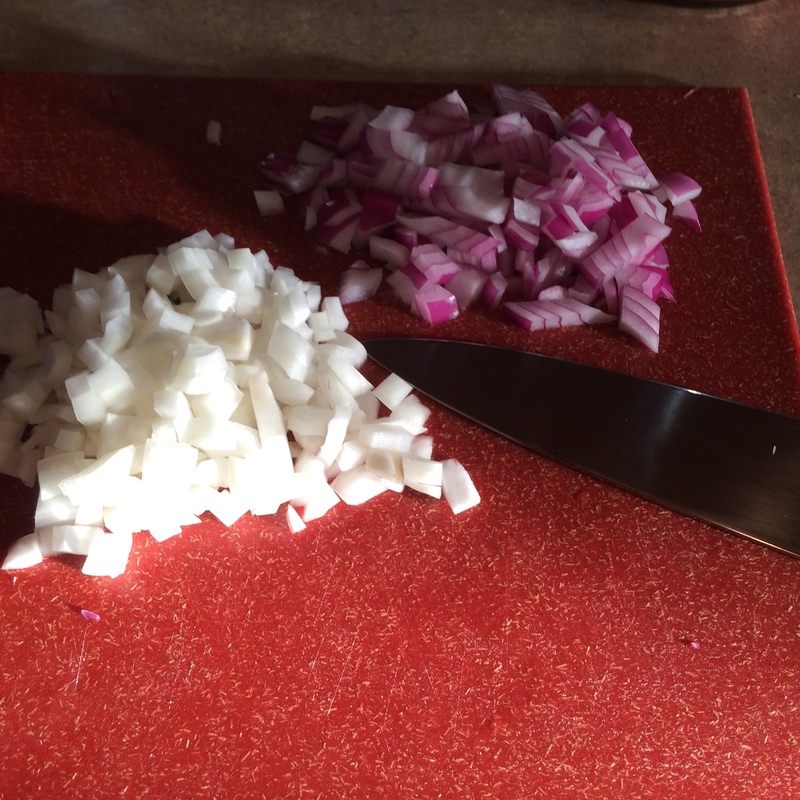 Sometimes red onions by themselves can be a bit overpowering on the tongue so mixing in a good bit of sweet onions adds a good flavor profile to the pico. I also like to kick up the onion to tomato ratio in my pico as compared to other recipes because my love for onions strongly outweighs my taste for tomatoes. 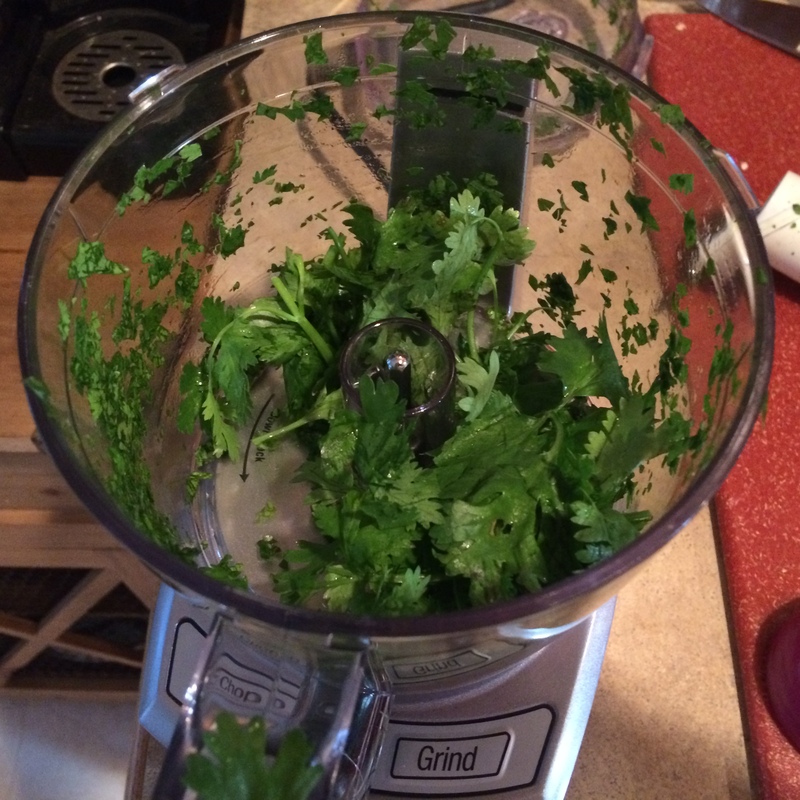 Cilantro can be a pain sometimes to prepare. 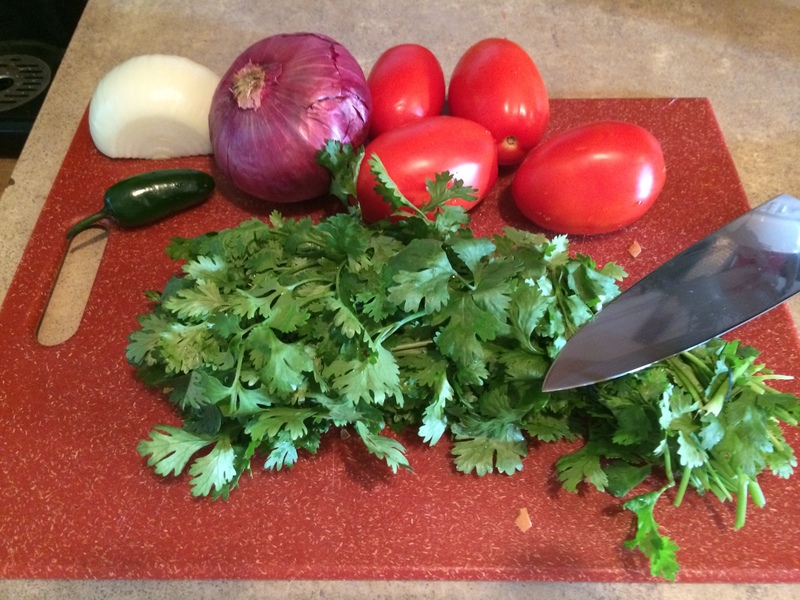 It loves to stick to your knife which makes it harder to get it chopped as finely as you may need. Also if you obsess over getting only leaves and no stems, then it can take you quite a while to prepare. I usually cheat and use a food processor to speed up the process. I just rip handfuls from the bunch and remove any easily accessible stems and add it to the food processor. It’s best to do this in batches so it gets cut evenly. One of my secret ingredients is to add some pickling juice from a jar of pickled jalapenos. This adds just a little bit of sweet heat to the pico and adds a nice liquid element since the pico is mostly chunky ingredients otherwise. This recipe is pretty mild on the heat side of things. 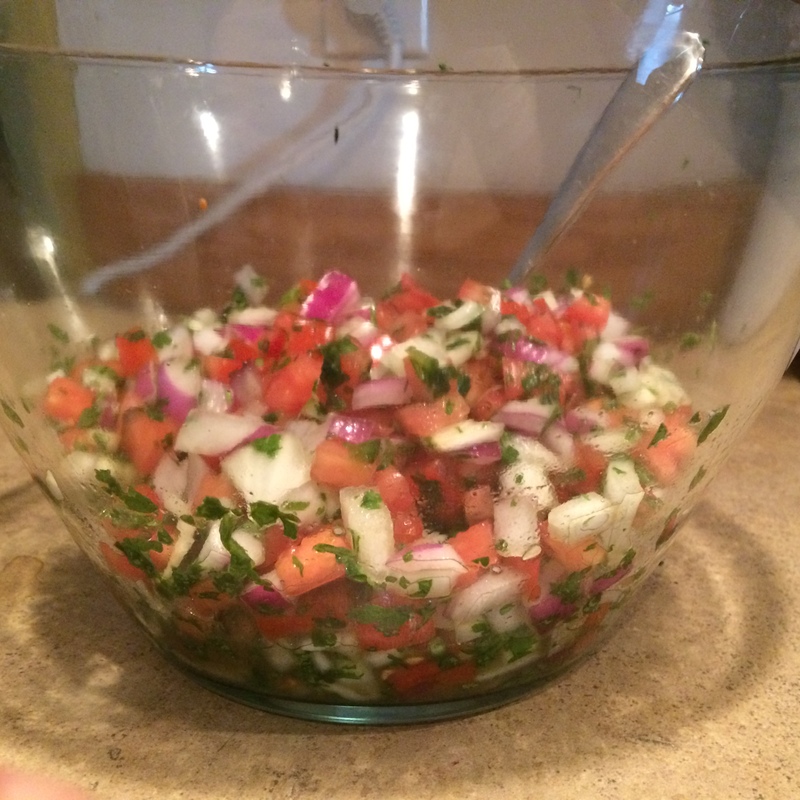 When I’m just making pico for myself, I usually don’t seed the jalapeno so it amps up the heat more but when I’m making Pico for others, I try to dial it down. Also, getting the jalapenos finely diced helps to spread the heat out so someone doesn’t get a big chunk of jalapeno on their tongue. That brings me to one of the important notes about pico: pico recipes are really a guide and should be tweaked to your preferences. Want really hot pico? Don’t seed the jalapenos or add an extra one. Don’t really like the taste of cilantro? Cut back on that ingredient. Condensed recipe is included below! Cut the root out of the tomatoes. 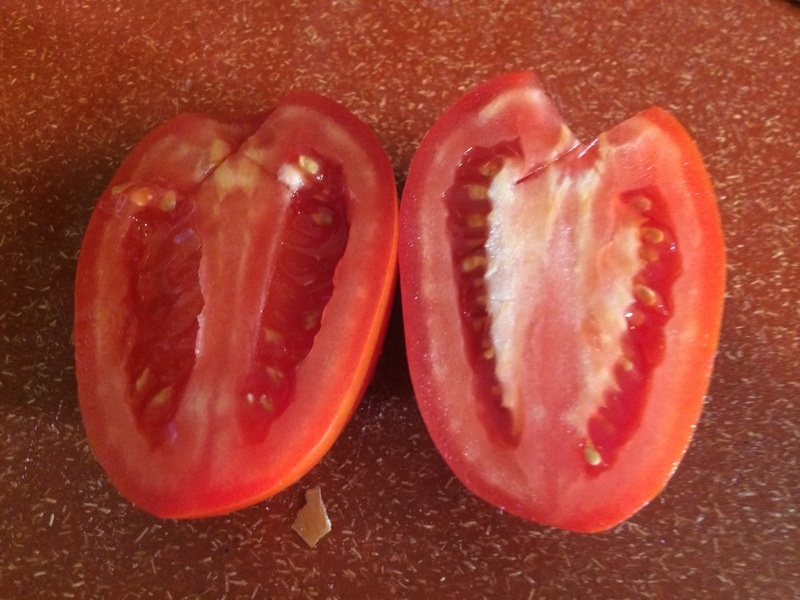 Cut the tomatoes in half root to tip, and partially seed them by scooping out exposed areas of seeds. Dice and add to bowl. Dice up red and white onions, and add to bowl. 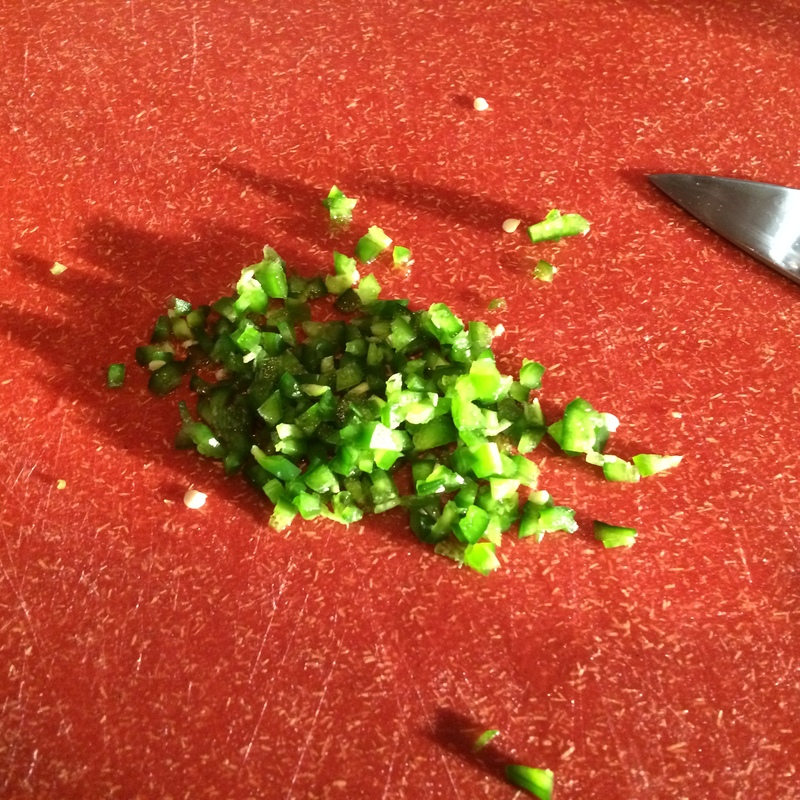 Add lime juice and jalapeno pickling juice (if using) to bowl and mix. Taste with a chip (so you get the full experience) and adjust any of the ingredients to your preference.